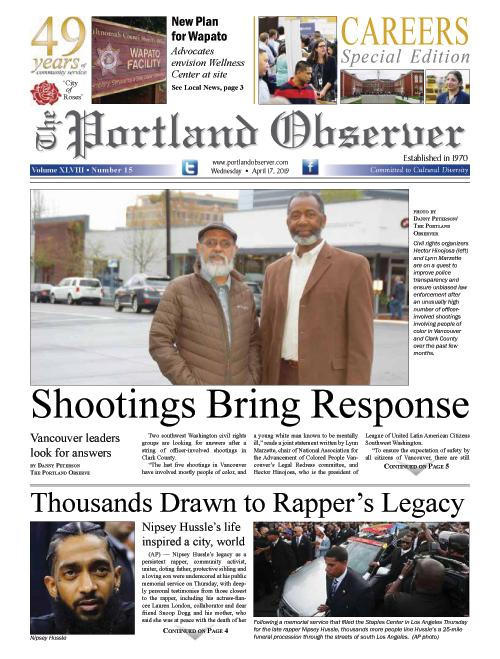 Congratulations to the Portland Observer Ballers, a sixth grade youth basketball team from north and northeast Portland playing in the Portland Parks and Recreation league. The team finished the season without a loss, the second straight year it went undefeated! Pictured with the team are coaches Mark Washington (left) and Jeff Ta (right).